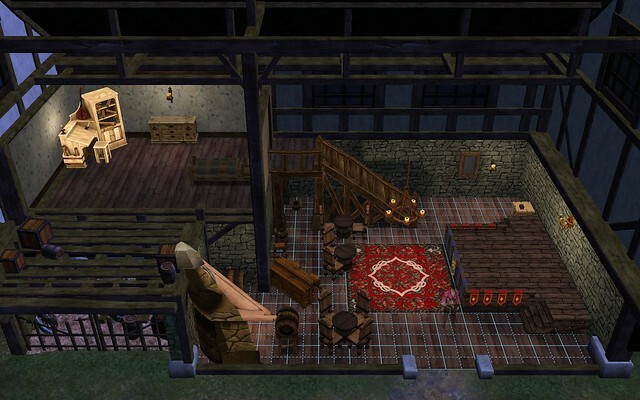 This is a sample starting Tavern (using the Furnished option) that grants the +25/- Nicely Decorated buff. A music box is on the end table moved from the upstairs room down to the main floor, upper right corner. A lot of performances depend on Focus, so the Decoration buff is important to raise.